The view of the sunset is always beautiful. When the sun sets, the whole sky becomes orange and the part below the horizon starts becoming darker. People around the globe love to stare at the sunset and capture it in an interesting and beautiful manner. This is the reason there are numbers of sunset spots across the country. But few sunset spots are the best to watch Sunsets. Here, I am listing the best places to watch sunsets in India. Kanyakumari is the southernmost tip of India. At the west of it, you can see only the water in the ocean. 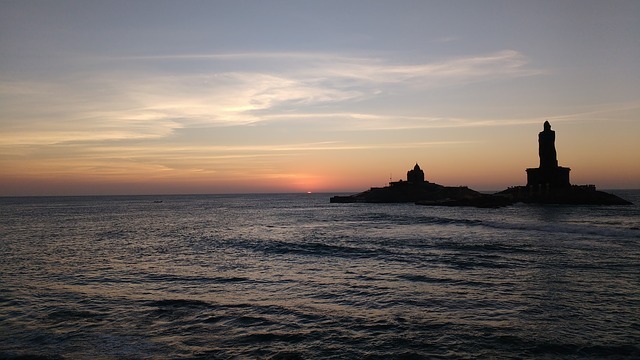 At the Sunset View Point of Kanyakumari, you can watch the immerse itself in the water. There is also a lighthouse that adds beauty to the scene. The view is so beautiful that hundreds of people visit there daily to see the stunning sunset view. If you are in Goa, you should not miss the beautiful sun set at Palolem Beach. Watching sun submerging into the Arabian sea. Palolem beach is relatively quieter than other beaches of Goa. 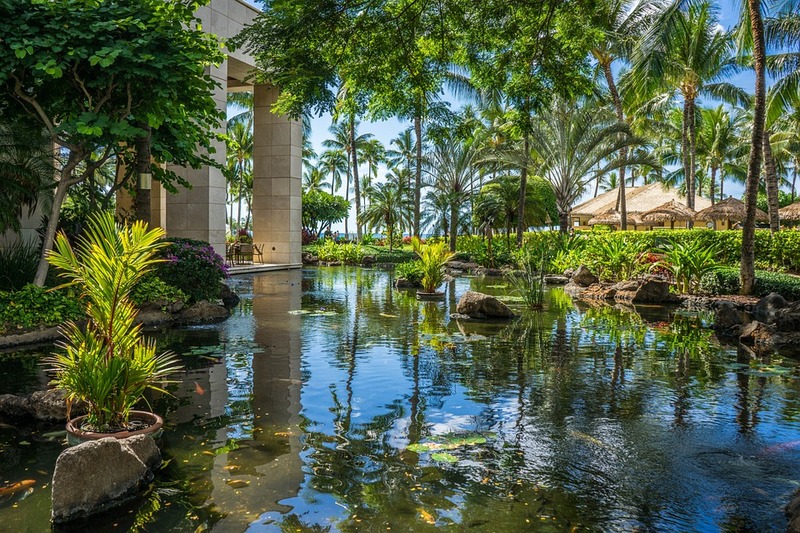 So, it can be a romantic place to sit and relax with your partner. Radhanagar Beach is one of the most beautiful beaches in Asia. It is also one of the best sunset spots in India. You can never forget the amazing sun set view of this place. Umiam Lake is a reservoir in the state of Meghalaya. 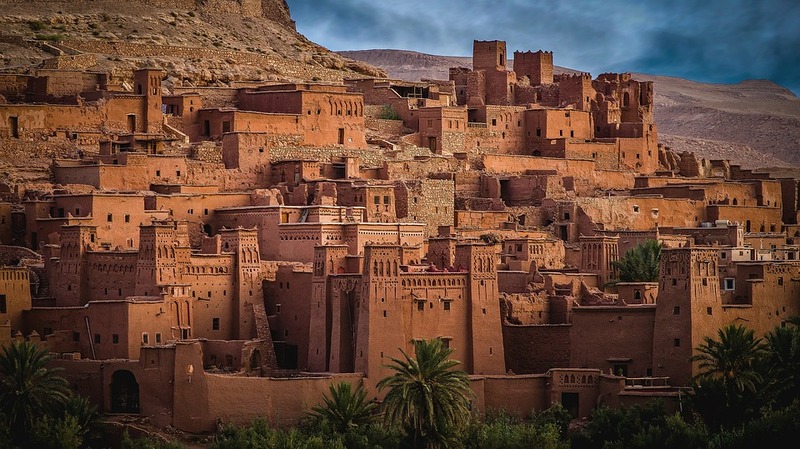 This place is also known for its beautiful sunset view. It is beautiful and mysterious both at the same time. 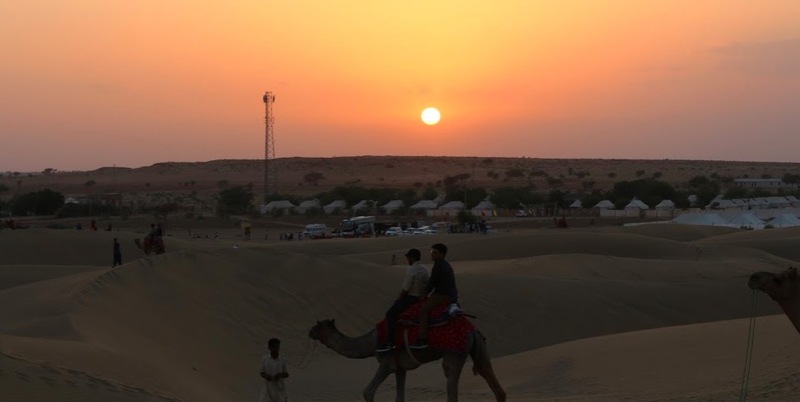 Sand Dunes at Jaisalmer, Rajasthan is another beautiful place to watch the sunset. 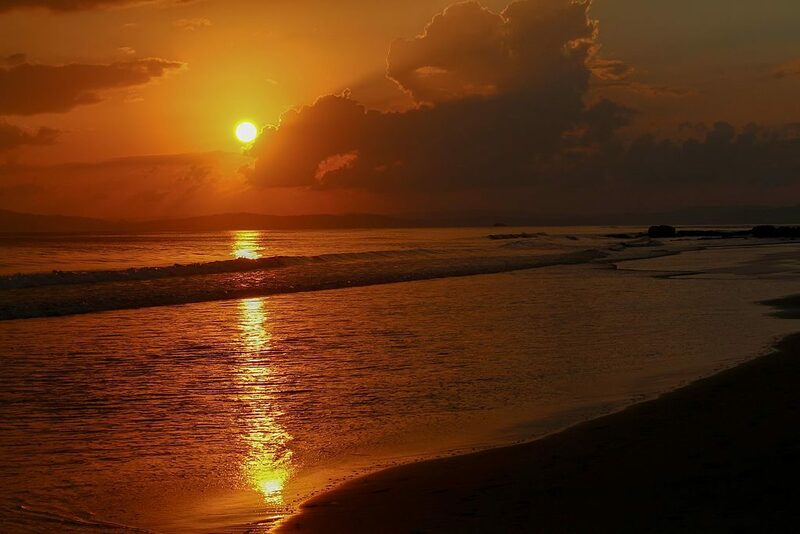 Sit on the sand and see the dark orange sky at the time of sunset. It is among the best spots in India for the sunset. Not just near water, watching the sunset over a vast off-white flatland of salt also gives a beautiful sunset view. Here, you can clearly see the horizon and dark orange sky at the time of sunset. 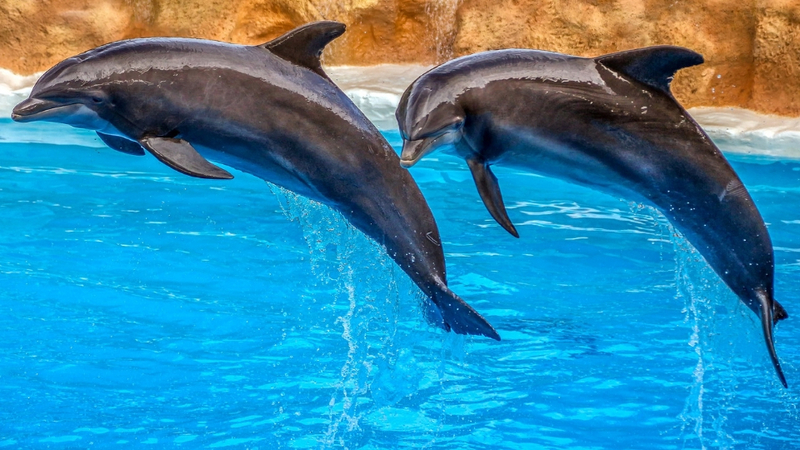 You will surely love the view. 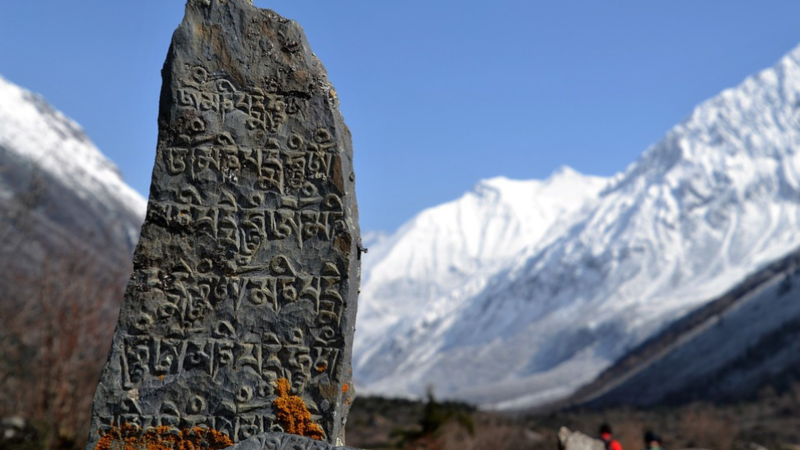 Kashmir is one of the most beautiful places to visit in India. 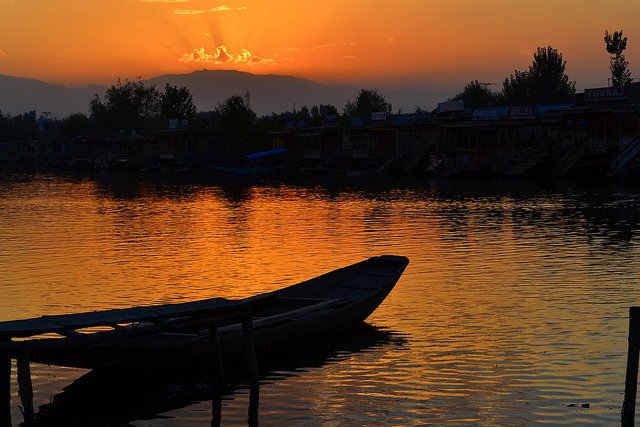 If you are going there, do not miss the sunset to view at Dal Lake, Srinagar. 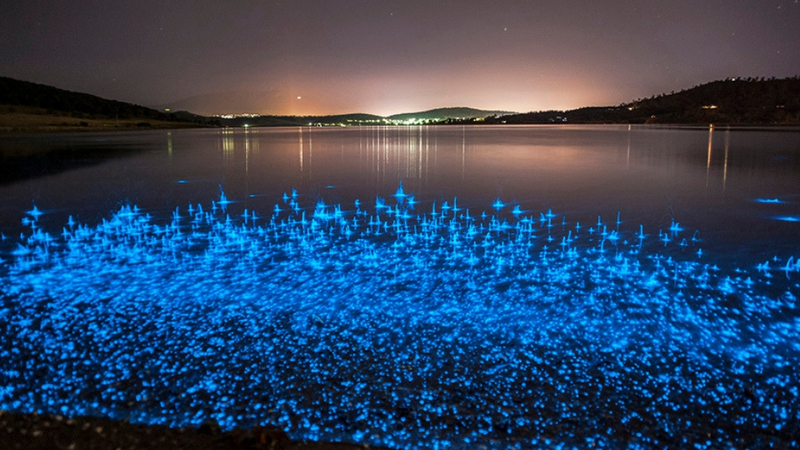 This can be even more beautiful if you are witnessing the sunset from the window of a houseboat floating in the lake. 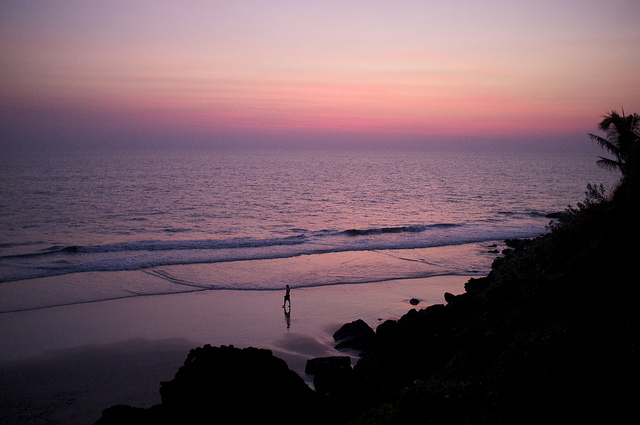 Varkala is also one of the best spots to watch the sunset at evening. Varkala is a beautiful place because it is the only place in Kerala where hills come close to the Arabian Sea. This is the reason, the sunset view bevies more beautiful. 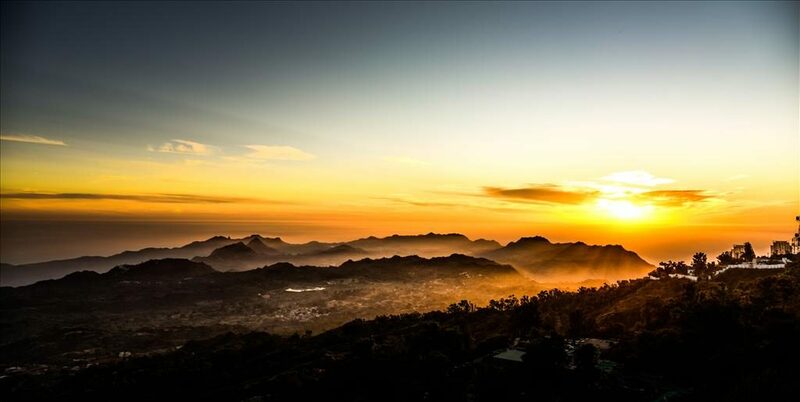 At the sunset point of Mount Abu, you can watch the sun sets behind the captivating landscape. Watching the colorful sky and seeing everything dissolving into the dark will give you immense pleasure. Varanasi is one of the most beautiful cities for enjoying the beauty of evening. Sunset view is also one of those moments you can enjoy there. 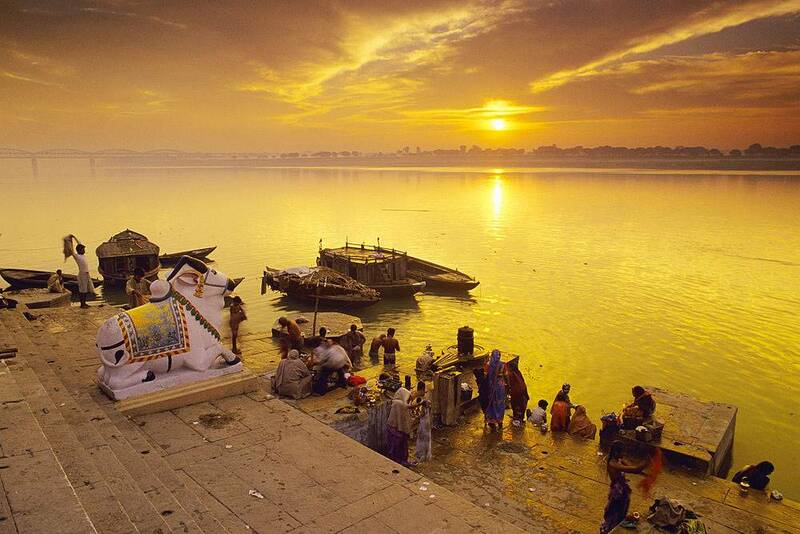 Watching the sun set on the banks of the Ganges will be an amazing experience. After that, you can watch the evening prayers at ghats. 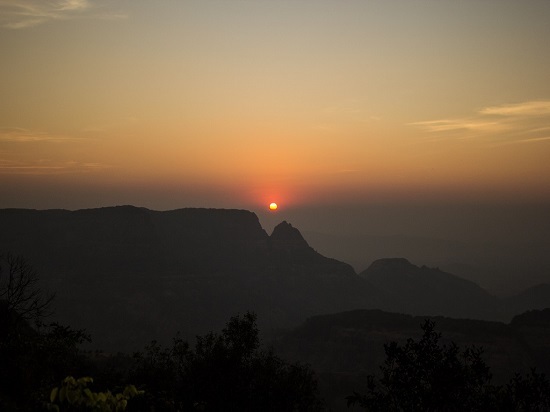 Matheran is a hill station near Mumbai. There are two sun set points called including Porcupine sunset point and Panorama sunset point where you can have excellent views of the valley and watch the sunsets. 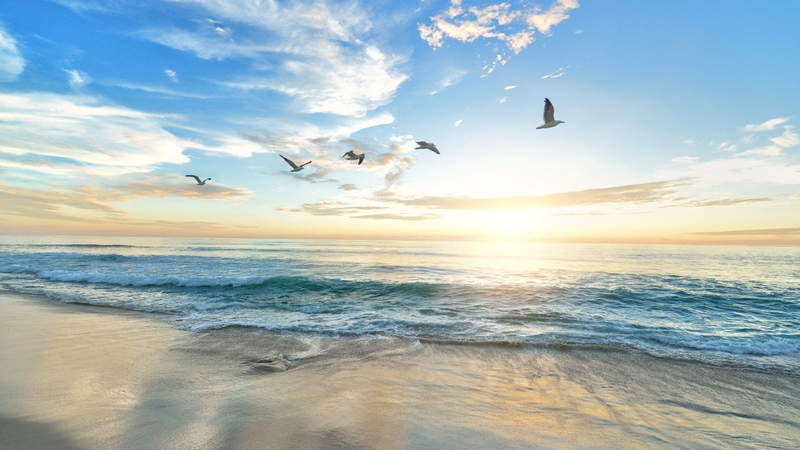 This is the beach from where you can enjoy the sunrise as well as sunset. 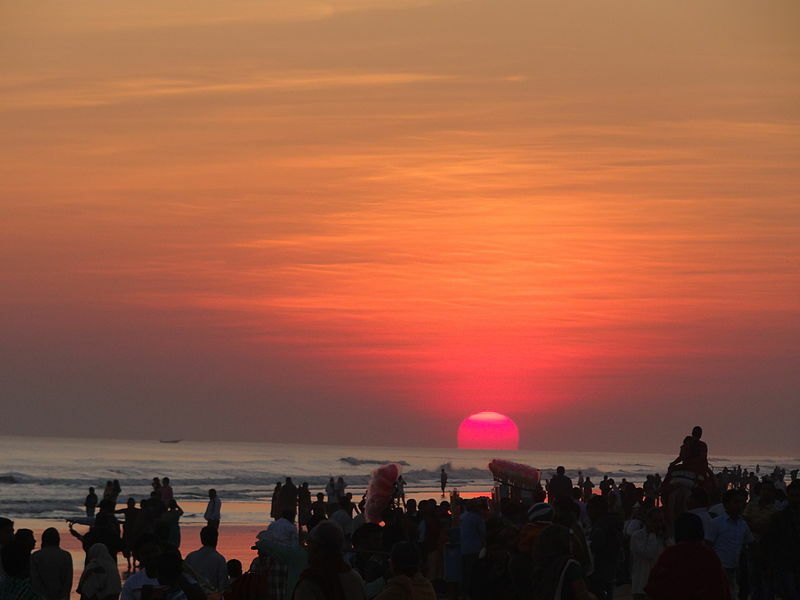 Puri Beach is in the most beautiful place to see the sunset in India. These are the best places in India from where you can see the most beautiful sunset. We update this list from time to time and add other places which are popular for sunset in India. Do share your experinces with us in comments.